Learning a new language is fun, rewarding and can bring new people and new experiences into your life. At Cactus we know that learning a new language can also be challenging and hard work! One of the best ways to put your new language skills into practice, see a rapid improvement and gain first-hand experience of the culture is to immerse yourself in a volunteer programme! Volunteering not only gives you the opportunity to get involved in an area of development or conservation that is of personal interest, it also offers the opportunity to experience language and culture on the front line, up close with people in real life everyday situations. With a volunteer programme you are able to see a deeper, more authentic side to the country, culture and language. Giving back to the communities not only brings you closer to the people but also closer to the language. Whether you are learning Spanish or Thai, French or Hindi, there is bound to be a volunteer programme that appeals to you. With many of these programmes you do not have to commit months of your life in order to be accepted. Often you can join one of these programmes from just one week, which is much more practical for those with demanding life and work commitments. Every 30 hours a woman is killed in Argentina by a man she knows (husband, boyfriend, acquaintance) according to statistics kept by La Casa del Encuentro, an NGO that helps female victims of violence. Deep seated misogyny and wide spread violence against women remains very much a serious problem in Argentina. The main objective of the gender equality programme in Argentina is to support women’s initiatives and projects which aim to advance gender equality as a tool for social change. Volunteers can take part in giving technical, legal and psychological counselling; helping women expand their social media network to promote their projects and share their work experience; mobilizing resources from international and local donors to fund local initiatives and women’s grassroots organizations in Argentina. These programmes are a minimum of 4 weeks and are based in more rural parts of Argentina. Nature is the main highlight of Kanchanaburi! With its steep craggy mountains and network of rivers, caves, waterfalls and hot springs. 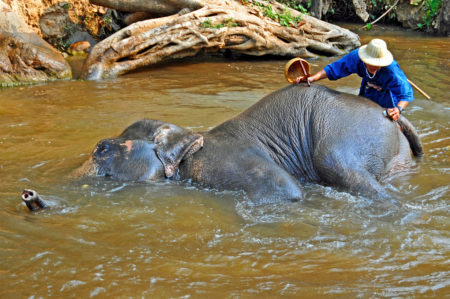 You will be working directly with the elephants in Kanchanaburi and will be immersed in this natural environment. During this programme you will wash the elephants, prepare their food, bathe and swim with them and take care of their general well-being. This project looks after rescued and sick elephants and your role is to make their lives as comfortable as possible in the best possible way. There are also some great opportunities to improve you your Thai with the locals should you wish. This project is for a minimum of 1 week. French speaking Madagascar is one of the world’s poorest countries. The average Malagasy makes around $1 US per day, while 70% of the Malagasy live below the world poverty line. You can make an enormous difference to the local people and communities with our outreach programme in community care. Based in the port town of Mahajanga, you will work with the local community by assisting at a women’s shelter in Mahajanga. Your primary role will be teaching English to women and children to broaden their opportunities. You will also visit the nearby communities and teach underprivileged children who cannot afford to go to school. This project is for a minimum of one week. Located on the North Western side of India, Rajasthan makes up 10% of India’s land mass and is one of the most interesting regions to visit. Almost every city in Rajasthan is colour coordinated Jaipur is pink, Udaipur is white, Jodhpur is blue and Jhalawar is purple! On most streets, there are more cows, elephants and camels than people! The locals are some of the most fun, charming, and welcoming that you will ever meet. On the project you will help out with sports activities and running sessions at local schools in rural areas. The sports programme is utilized utilised to create opportunities for children to develop socially, physically, mentally and academically. You will teach team sports such as football, volleyball, cricket, hockey and gymnastics encouraging the children to work in teams and create a sense of cooperation that will help them throughout their years. This is a great opportunity to improve your Hindi and learn more about the people and their lives. The project is for a minimum of one week. To find out more about improving your language skills with these volunteer programmes, or for information on any of our courses simply call us on 01273 830 960 or email us. Our multilingual team will be happy to answer any questions you may have. Previous Previous post: Phoenix Picturehouse in Oxford Rises Again!